A labour of love, Exterior Craft was founded in 2005 by Tim Beadle to meet the need in the Ottawa area for top-quality craftsmanship in exterior living spaces. 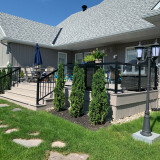 In that time Exterior Craft has proven it's self to be Ottawa's premier deck builder. A deck is a major investment, adding value and enjoyment to your home. We understand that a deck is an extension of your living space. Exterior Craft’s philosophy is that your deck should be crafted with the same quality and attention to detail that you expect inside your home. Whether you are looking for major multilevel design with an attached 3 Season Room or a simple set of stairs. You can always be assured you will receive a job completed with the highest attention to detail and quality construction. Exterior Craft is renown for bringing projects to completion on time and on budget. Stone Deck was born with the vision to provide a one-stop resource for anyone wishing to create a beautiful, maintenance free stone living space. Over the years, we’ve worked hard to grow from a small landscaping company, to Ottawa’s premier stone deck resource, and we’re proud to continue that tradition into the future as Stone Deck Innovations serving Canada! Our Story A few years ago, to avoid the long, hard hours of constant resurfacing, we used the StoneDeks SilcaGrate to convert our old wood deck into an elegant, maintenance-free stone deck. After glowing reviews from friends and family, a light bulb went off: This could be a business! Stone Deck Innovations was born with the vision to provide a one-stop resource for DIYer's and contractors to create or transform any wood or composite deck into an incredible, easy-to-care-for stone oasis. "Customized Fully Assembled Sheds, Gazebos and Small Cottages" Choosing a design is a very personal choice . Apart from your home, your shed is the most important structure on your property. Perhaps you want a backyard retreat, outdoor office or a storage shed building for larger items? Whatever your needs are, we hope our styles will fit your lifestyle. Nepean General Contractors is a family run, detail driven, residential construction company. We listen to your needs, and focus on delivering what will work best for you. If you're ready to be listened to - give us a call, or drop us a line. 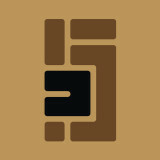 Ataco Construction is a small residential Deck, Interlock and Renovation company passionate about quality and fairness. 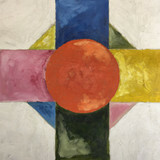 We focus on the completion of your ideas! Our team will walk you the entire process from start to finish, making it a lot easier and giving you the piece of mind through out the entire project. We know that remodeling upsets your life and is not fun or convenient. So, we want make the process as easy and enjoyable as possible for you. We genuinely care about your project and your experience, and it shows. Our first-time customers continually become our long term customers time and time again, choosing us for all their remodeling needs. Call us today, and see what our commitment to quality is all about! We may not be related, but you’ll feel like we’re family. Homiihome is dedicated to transforming houses in to homes. Satisfying the needs of our customers, while maintaining the highest standard of work ethic has earned House of Canvas the reputation as the leading manufacturer of Awnings and Canopies for homes and businesses in Ottawa, Canada. For over the 40 years, House of Canvas has been recognized as an innovator in Awning design, engineering and fabrication. We are committed to using premium materials, giving our customers the best value for their investment. Custom Deck Contractor in Ottawa Area. Our services: Deck Construction, Deck Design and Plans, Obtaining deck building permits, Annual Deck Inspections. After more than 40 years of specializing, Fence-All has grown far beyond the small installation business of those early days--today Fence-All is an industry leader and a recognized specialist, shipping our unique products and designs all across Canada and the United States. Fencing is what we do and we're proud of it. Summerstone has specialized in high quality porches, decks, sun rooms and natural stonework since 1981. We have 5 year warranties on all work. Approximately 2200 projects completed. We like difficult or unusual projects. We do; --Porches- design, build & rebuild; --Decks- cedar, Ipe, PVC, composite or any combination; --Additions- screened porches, 3&4 season sun rooms, conservatories; --Plus all the extras that go with the work listed above; patios, planting beds , driveways, etc. ShadePro specializes in the supply and installation of quality products that deliver year-round beauty, comfort and energy savings to your home, cottage or business. When it comes to shade, energy conservation and home comfort, ShadePro has you covered. Innovative, high end design and products for the entire home, from custom production to installation in one hand. Harding Carpentry, Incorporated is a family-owned and operated company that has served the greater Ottawa Area since 1980, specializing in Custom Cedar Decks. We take on a wide variety of deck projects of different sizes for our customers and, regardless of the scale of the job, we approach each project with the same professionalism and individual attention that our name has always represented to our customers. Our reputation rests of the quality of each job and it is why we have developed such a loyal customer base over the more than 30 years that we have been in business. Year after year, our customers provide us with the greatest compliment they can ever provide — recommending us to their friends and family. 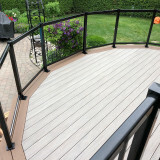 What services do deck and patio builders in Gatineau, QC provide? To help you choose the ideal style, configuration and materials for your deck or patio, your deck and patio contractor will survey your Gatineau, QC lot and your home to come up with a design that complements your exterior as well as being structurally sound. He or she will recommend sizes, heights and construction materials that suit your lifestyle and climate, as well as explain the best stain or finish options. Additionally, deck and patio professionals can provide insight into additional components such as outdoor kitchens, patio covers, fire pits, outdoor lighting, arbors and more. Your deck and patio professional might work closely with another Gatineau, QC lawn and landscape professional. Here are some related professionals and vendors to complement the work of conservatories & orangeries: . 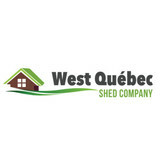 Find a deck and patio builder in Gatineau, QC on Houzz.